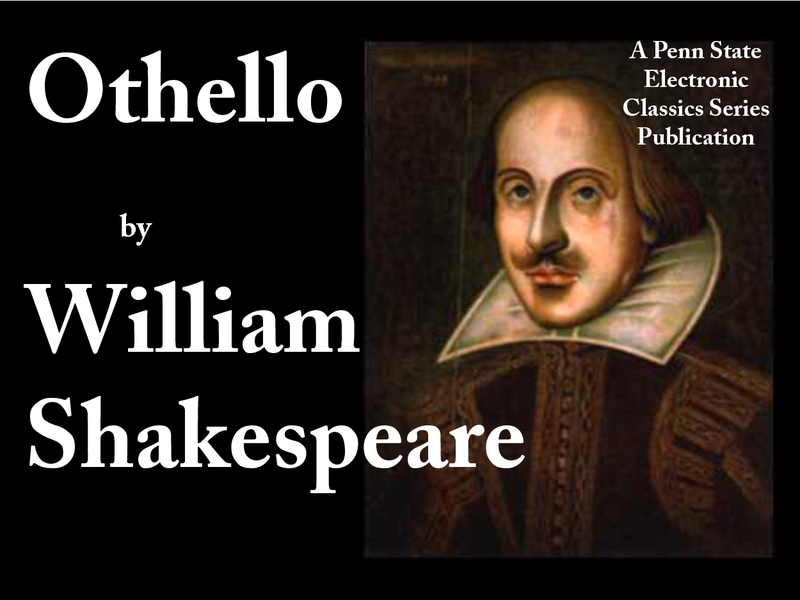 What is the peculiarity of Othello? What is the distinctive impression that it leaves? A tragic figure, according to the classic definition, is a person of noble birth whose character is flawed by a weakness that causes his downfall. Othello's flaw is a passion he cannot control, he is slow to anger, but once he is angered, his passion overwhelms his good sense. He kills his wife as a result of his passion, and eventually himself. The waste of his life, full of promise and noble intentions, represents the tragedy of the play. Othello is a tragedy of passion, for it is the most painfully exciting and most terrible. From the moment when the temptation of the hero begins, the reader's heart and mind are held in a vice, experiencing the extremes of pity and fear, sympathy and repulsion, sickening hope and dreadful expectation. Othello is not only the most masterly of the tragedies in point of construction, but its method of construction is unusual. And this method, by which the conflict begins late, and advances without appreciable pause and with accelerating speed to the catastrophe, is a main cause of the painful tension. In the second place, there is no subject more exciting than sexual jealousy rising to the pitch of passion and driven by it to a crime which is also a hideous blunder. Jealousy and specially sexual jealousy, brings with it a sense of shame and humiliation. For this reason it is generally hidden; if we perceive it we ourselves are ashamed and turn our eyes away; and when it is not hidden it commonly stirs contempt as well as pity. Nor this is all. Such jealousy as Othello's converts human nature into chaos, and liberates the beast in man; and it does this in relation to one of the most intense and also the most ideal of human feelings. What spectacle can be more painful than that of this feeling turned into a tortured mixture of longing and loathing, the 'golden purity' of passion split by poison into fragments, the animal in man forcing itself into his consciousness in naked grossness, and he writhing before it but powerless to deny it entrance, gasping inarticulate images of pollution, and finding relief only in a bestial thirst for blood? This is what we have to witness in one who was indeed 'great of heart' and no less pure and tender than he was great. And this, with what it leads to, the blow to Desdemona, and the scene where she is treated as the inmate of a brothel, a scene far more painful than the murder scene, is another cause of the special effect of the tragedy. The mere mention of these scenes will remind us painfully of a third cause; and perhaps it is the most potent of all, the suffering of Desdemona. She is helplessly passive. She can do nothing whatever. She She can't retaliate even in speech; no, not even in silent feeling. And the chief reason of her helplessness only makes the sight of her suffering more exquisitely painful. She is helpless because her nature is infinitely sweet and her love absolute. Turning from the hero and heroine to the third principal character, we observe that the action and catastrophe of Othello depend largely on intrigue. Iago's plot is Iago's character in action, and it is built on his knowledge of Othello's character where he could not otherwise have succeeded. Still it remains true that an elaborate plot was necessary to elicit the catastrophe; for Othello was no Leontes, and his was the last nature to endanger such jealousy from itself. Accordingly Iago's intrigue occupies a position in the drama for which no parallel can be found in the other tragedies; the only approach, and that a distant one, being the intrigue of Edmund in the secondary plot of King Lear. Now in any novel or play, even if the persons rouse little interest and are never in serious danger, a skillfully-worked intrigue will excite eager attention and suspense. And where, as in Othello, the persons inspire the keenest sympathy and antipathy, and life and death depend on the intrigue, it becomes the source of a tension in which pain almost overpowers pleasure. Nowhere else in Shakespeare do we hold our breath in such anxiety and for so long a time as in the later Acts of Othello. One result of the prominence of the element of intrigue is that Othello is less unlike story of private life than any other of the great tragedies. And this impression is strengthened in in further ways. In the other great tragedies the action is placed in a distant period, so that its general significance is perceived through a thin veil which separates the persons from ourselves and our own world. But Othello is a drama of modern and contemporary life. The characters come close to us, and the application of the drama to ourselves is more immediate than it can be in Hamlet or Lear. It is less unlike story of private life than any other of the great tragedies. In great tragedies action is placed in distant period. The peculiarities so far considered combine with others to produce those feelings of oppression, of confinement to a comparatively narrow world, and of dark fatality, which haunt us in reading Othello. In Macbeth the fate which works itself out alike in the external conflict and in the hero's soul, is obviously hostile to evil; and the imagination is dilated both by the consciousness of its presence and by the appearance of supernatural agencies. In Othello, after the temptation has begun, it is incessant and terrible. The skill of Iago was extraordinary, but so was his good fortune. Again and again a chance word from Desdemona, a chance meeting of Othello and Casino, a question which starts to our lips and which anyone but Othello would have asked, would have destroyed Iago's plot and ended his life. In their stead, Desdemona drops her handkerchief at the moment most favorable to him, Cassino blunders into the presence of Othello only to find him in swoon, Bianca arrives precisely when she is wanted to complete Othello's deception and incense his anger into fury. When all the accident happens, there is no escape from fate, and even with a feeling, absent from that play, that fate has taken sides with villainy. It is not surprising, therefore, that Othello should affect us as Hamlet and Macbeth never do, and as King Lear does only in slighter measure. On the contrary, it is marvelous that, before the tragedy is over, Shakespeare should have succeeded in toning down this impression into harmony with others more solemn and serene.